What is the centerpiece of the Gospel? Let’s plunge into the Deeper Waters and find out. Not too long ago, I wrote a blog post that was looking at a critique of the New Perspective on Paul. While I don’t sign on the dotted line yet on the NPP, I am certainly open to it and think it makes some cogent points. One reason I wrote it is also because of a claim I hear often that justification is the Gospel. Of course, some people will immediately get defensive hearing that. Am I saying that justification is not important? Not at all. It is important that we are forgiven and that forgiveness is by grace through faith. What has to be asked though is if that is what our faith is built on? When I go to bed at night, normally I read a short section of Scripture if I’m reading a narrative, like a Gospel, but if not, just a couple of verses to think about. Last night I did three to finish off Romans 4. So what did I read? Please note what is necessary for our justification. It was the resurrection of Jesus. Just dying on the cross was not enough. As Paul says, if Christ is not raised, you are still in your sins. Part of the problem I have with the idea that justification is the Gospel is that justification is a result of something else happening. That something else is the primary thing. That is the message that changed the world. If that did not happen, we would not be able to talk about justification. That primary thing is the resurrection. A secondary problem is that justification is important, but it also doesn’t go far enough. We can celebrate that we are forgiven, but God did much more than just forgive us. He could have forgiven us without offering us eternal life for instance, but He did do that. With every step, He could stop, but He doesn’t. As Luke 12:32 tells us, it is the Father’s good pleasure to give us the kingdom. The kingdom is sadly lacking in our Gospel messages today. Jesus did not say as much about justification as He did about the Kingdom of God, but guess which one we spend the most time talking about today? Very few people have any idea of a doctrine of the kingdom. It’s sadly true that we often treat the Gospels as appetizers and the main course are the epistles of Paul. This is why it can often be asked if Jesus taught Paul’s Gospel. The more important question we should ask is if Paul taught Jesus’s Gospel, which he did of course. If we want to see what’s further ahead, let’s see what Paul does say in 2 Cor. 5:19. Sure. The forgiveness of sins is in there, but the reconciliation is with the world. The world is not as it should be and that is to be corrected. We can be forgiven, but even forgiven people will still die. Death is still the enemy to overcome. Is God going to let the world be a casualty? Did the evil one ruin the world so much that it cannot be redeemed and it will fall from the purposes God created for it? Absolutely not. The resurrection is as it were uncreation working backwards. The path of destruction is stopped and the path of restoration begins. Let us celebrate justification, but we are not the end of it all. Everything is to be reconciled. This does not mean universalism as some people will not be reconciled due to their own will nor will demons or the devil, but all that submit to God will be. Yet always remember, whatever your stance on justification, it’s not possible without the resurrection. The resurrection message is the Gospel. The king has come and He is taking His throne. That is the cause of everything else. Let’s not confuse the effect with the cause. Posted on 15th November 2017 Author Nick PetersCategories Apologetics, Christian Doctrine, Historical Jesus, New Testament, ResurrectionTags gospel, justification, Kingdom, ResurrectionLeave a comment on What Is The Foundation? “It depends on which Gospel you read!” Many of us have heard Bart Ehrman talk about this in describing Gospel differences. It is a kind of unavoidable problem. Why are there differences in the Gospels? Shouldn’t we expect them to agree, especially on major events like the resurrection? If you want to know why there are differences in the Gospels, you should talk to someone who has written on this. In fact, the very name of his book is Why Are There Differences In The Gospels? That someone is Mike Licona, a friend, a scholar, a great apologist, and my father-in-law, and he will be my guest. So who is he? Mike Licona has a Ph.D. in New Testament Studies (University of Pretoria), which he completed with distinction. He serves as associate professor in theology at Houston Baptist University. Mike was interviewed by Lee Strobel in his book The Case for the Real Jesus and appeared in Strobel’s video The Case for Christ. He is the author of numerous books including Why Are There Differences in the Gospels? What We Can Learn From Ancient Biography (Oxford University Press, 2017), The Resurrection of Jesus: A New Historiographical Approach (IVP Academic, 2010), Paul Meets Muhammad (Baker, 2006), co-author with Gary Habermas of the award-winning book The Case for the Resurrection of Jesus (Kregel, 2004) and co-editor with William Dembski of Evidence for God: 50 Arguments for Faith from the Bible, History, Philosophy, and Science (Baker, 2010). Mike is a member of the Evangelical Theological and Philosophical Societies, the Institute for Biblical Research, and the Society of Biblical Literature. He has spoken on more than 90 university campuses, and has appeared on dozens of radio and television programs. We’ll be talking about Plutarch in comparison with the Gospels, including not just parallel accounts, but how does the writing of Plutarch compare even with anonymity, dating, and miraculous activity? We’ll then be looking at some scenes in Plutarch that appear in more than one life that he has written, but at the same time are vastly different. We’ll be discussing how these work when carried over to the Gospels and if there are similarities in treatment. We’ll then go to the Gospels. What are we to make of the idea of Ehrman that “It depends on which Gospel you read?” How does this research affect the doctrine of inerrancy if it does at all? What are we to do when we read the same story in different Gospels and see great differences between them? Do the differences outweigh the similarities? I hope you’ll be listening. Mike Licona is an excellent scholar and this work is one that has been published by Oxford Press and so one can’t say it’s your regular evangelical press. I also hope you’ll be willing to go to ITunes and leave a positive review of the Deeper Waters Podcast. I always love to see how much you like the show. When we talk about the Gospel, what do we mean? Let’s plunge into the Deeper Waters and find out. Yesterday after my post, I went back to David Wood’s page where there was a debate on ecumenism and whether Catholics are brothers and sisters in Christ or not. Now I am not Catholic of course, but I do ministry at times with Catholics and with Orthodox as well, but Catholics are usually the favorite target. We have no problem accepting one another as brothers and sisters in Christ. Normally, I don’t enter this debate at all, but this time, I figured I’d do it since it involved the defense of a friend. So when the charge comes up and the Gospel is mentioned, I notice that it looks like we all think we know what the Gospel is, so I ask first if Jesus and Paul preached the same Gospel. I know where I’m going and I think this is problematic for some of these and I get told yes. I ask what that Gospel is and I get told the message of justification through faith. Wonderful. So I ask, where exactly do you see Jesus teaching this? After all, in Mark 1:15, Jesus shows up on the scene telling people to repent and believe the Gospel. Is He telling them to repent and believe that they are justified through faith? Of course, if you know the Gospels, this isn’t a central theme of Jesus’s. Of course, Jesus does point to internal realities more than external ones, but the main teaching of His life is the Kingdom of God. In fact, I’m told that the words of Jesus aren’t just limited to red so you go and look at Paul and you see that this is what Jesus taught. I find this problematic. If we want to understand the Gospel, shouldn’t we start with Jesus? I don’t disparage Paul after all. Paul is immensely valuable and sacred Scripture as well, but isn’t Jesus the original teacher we should look to first? I found it sad that no one could point this out to me. Here I am supposed to be told that justification by faith is the Gospel that Jesus taught and yet nowhere do I see this being His teaching. Nowhere do I see this being a point of debate between Him and the Pharisees. Of course I know about “I desire mercy and not sacrifice” and I know about the tax collector and the Pharisee, but you don’t see an out and out soteriology in Jesus. In fact, we all know he has some statements such as “Sell all you have and give to the poor.” We also know he has “Believe on the one whom God sent”, but the whole Pauline emphasis is not really there. God created Adam and Eve to live in union with Him. He would be their God and they would be His people. Unfortunately, they decided to go it their own way and partook of the fruit of the tree of the knowledge of good and evil. In response, God kicked them out of the garden and they were separated from Him. Then Jesus came and……wait….that sure seemed to skip a lot didn’t it? I mean, do we really need all that stuff from Genesis 4 to Malachi 4? Is that really relevant to the story of Jesus? Maybe, just maybe, maybe it is. Tell you what. Let’s go through and see. After Adam and Eve fall, mankind gets wickeder and wickeder. Their own children have a case of one brother killing the other. Eventually, God decides he will flood the world save for one man and his three sons and their wives and start anew. After this, mankind decides to build a tower. Can’t have that happening again. God decides to confuse their languages and send them out as different peoples then. He chooses one person from one group of people and makes a covenant with him. That man was Abraham. God promises that all the peoples on Earth will be blessed through him. Through miraculous means, this old man has a son and he is promised that through his son the promise will be fulfilled. God then tells Abraham to sacrifice this son named Isaac. Abraham is willing and God stops him. Abraham showed that he believed God would fulfill the promise even if he had to kill Isaac. God showed Abraham meanwhile how different He is from all the pagan gods. They would have demanded child sacrifice. YHWH puts a stop to it. Isaac does grow up and have descendants and the story of Abraham is passed on until eventually, the people arrive in Egypt due to a famine. 400 years later, the people are in slavery and cry out to return to the land of Abraham. God hears them and sends them Moses. Moses delivers them through the Red Sea and takes them to Mount Sinai where they form a covenant relationship with YHWH through His Law. The Law will be how the people show the world that they are a unique people of God. The people enter the land, but soon become unfaithful. God sends judges to them to return them to YHWH, but that is not enough. Eventually, a king is installed. The first one is a failure, but the second one is David, who is seen as the best king Israel ever had. God makes a covenant with David that one of his descendants will sit on his throne forever. This is in response to David wanting to build a house for God. God says David will not do that, but that his son will. David’s next descendant, Solomon, does indeed build a temple. This is where God dwells with His people again. The temple becomes a symbol of the presence of God with the people, but the people grow arrogant and complacent about it. They think that God will never abandon it, as if He needs His temple. God sends them prophets when they neglect His Law, but they do not listen. Eventually, the people are sent into exile and the temple is destroyed. About seventy years after that, the people are allowed to return to the land and build a new temple. The people are back and they have a temple, but something is wrong. Foreigners are in charge of the land. At the time of Jesus, it is Rome. How could it be that God is with His people and yet He lets pagan people rule the land? When is the Kingdom of David going to return? The people might be in the land geographically, but they do not have the charge of the land. It is still incomplete. Has God abandoned His people? Will He return? When Jesus shows up, He speaks about the Kingdom of God and even says it is right there. He asks people to believe the Gospel. What is the Gospel? God has returned to His people. God is present in Jesus. Even more startling, Jesus does signs to show that He is the Messiah of Israel and the one who will sit on the throne of David and through whom God will reign. The rulers don’t like Jesus coming in on their turf and they fear a revolution. In a series of political events, they crucify Jesus. This will silence the claims of Him being a Messiah. If He is the Messiah, He will not be crucified. God will rescue Him. Unfortunately for His followers watching, Jesus dies. He is not rescued. He is buried in a tomb. Done. Kaput. Game Over. Let’s move on with our lives now. But the game is not done. The story is not ended. The tomb is found empty and Jesus is alive again. What does this mean? If true (And it is), it means that God has vindicated Jesus. Jesus is indeed the Messiah. He is the one through whom God will reign. This is why Paul does preach the same Gospel. The good news is God has come to be with His people. Jesus says it beforehand promising He will be that one. Paul says it after showing that by His resurrection, Jesus is the promised Messiah. God has returned to be with His people through Jesus. It was not just the land that was to be redeemed. It was indeed all the nations of the world. Okay. So what about justification through faith? What does that have to do with it? As I said earlier, in the past, you obeyed the Law not to be justified, but to show that you were. We often have this idea that Paul wrestled with the Law. Not at all. Go read his autobiography in Philippians 3. He was faultless before it. Yes. But what about Romans 7? I don’t see that as autobiographical. I see that as Paul playing out a part. This is not a new view. Even Origen held this view. How would Paul describe himself as alive apart from the Law for instance? He never knew a life apart from it. I also think it’s problematic if you interpret this text as the Christian struggle. If you identify yourself with Romans 7, you will likely miss out your real identity in Romans 8. Here’s the real deal then. Paul never wrestled with the Law and then said “Oh! Following Christ! I’m free from this burden!” No. Instead he said that he was blameless before the Law, but he counted that all as rubbish. The Greek word here is Skubalon and I have even been told that that can be translated as if it were something I would not say on this blog. That is how strong Paul’s language is. The new marker then for showing you’re one of God’s is not keeping the Law. It is if you trust in Christ. Of course, this trust will result in good works. No one should oppose good works, but those good works are not done to obtain salvation but because you have already been given it. This is where justification comes in. It is not the faith that saves you so much as the object that you put your faith in. If you say “Justification by faith” I have to ask “Faith in what?” Then we get to the meat of the Gospel. Now some might think this went long. It should. Israel was not something God tried for awhile and then said “Forget this. I’m going with the church.” Israel is part of the Gospel just as much. It is essential to know that Jesus is the Messiah. It’s so essential that Paul references it so much that some people, ignorantly of course, have thought that Christ was a last name as if Jesus was born to Mr. and Mrs. Christ. Today, we treat it as an afterthought. Oh yeah. Jesus is the Messiah. Paul didn’t treat it that way. Paul saw it as central. And for that to be central, Jesus has to be the Messiah of Israel. For that to matter, we have to know Israel’s story. We dare not leave it out. Israel’s story is ours. We are just as much the people of God. This is the good news. This is the Gospel. It reaches its full fulfillment in Revelation, but we are ambassadors of this good news for now. Jesus is not just the savior. He is not just the forgiver of your sins. He is the Messiah. He is your King. He is THE King. Posted on 2nd August 2016 Author Nick PetersCategories Apologetics, Christian Doctrine, Historical JesusTags Calvinism, forgiveness, good news, gospel, Jesus, justification by faith, Kingdom, MessiahLeave a comment on What is the Gospel? When we speak about the Gospel, what are we talking about? Let’s plunge into the Deeper Waters and find out. While I’m an evangelical by choice, I recognize one does not need to be an evangelical to be a Christian. If one embraces the essentials of the Christian faith, I’m happy to call that person my brother or sister and work alongside them in ministry, whether they are Protestant, Catholic, Orthodox, or whatever. For some fun, I sent it to a few people that I know to see what they thought also. One of those people was Mike Licona. He told me that he read the statement and found that he agreed with it. Which is good since he’s the one who made it. I, however, will stay that I stand by that statement. There are a number of us who have supported Mike with what he went through with the accusations that he was denying inerrancy. In this number are Protestants, Catholics, and Orthodox. I have some of each on my Facebook friends list. I would have no problem having guests of either persuasion on my show and in fact I do know I have had Catholics on there before. All of these people I see as my brothers and sisters in Christ. Now do I think they’re off on some doctrines? Yep. You bet. You know who else is? Most everyone I know. In fact, I’m off on some doctrines. Why do I hold to them then? Because I don’t know what they are! I just know that the field of Christianity is a complex field and it would be quite arrogant of me to think I’m the one person who got everything right. But let’s look at this charge. What is this with defining faith apart from the Gospel itself. As I told my wife that evening, I think too often we misunderstand the Gospel. We think the Gospel is justification by faith. It’s not. I do not deny justification by faith, but justification by faith is I think a response to the Gospel and not the Gospel itself. In a book I recently reviewed called One Gospel For All Nations, biblical scholar Jackson Wu presents a viewpoint from China on how different cultures see different things in the Bible. Of course, this doesn’t change what the Bible says, but we all have a danger of reading our culture into the Bible. Consider a passage like Romans 7 with the supposed autobiography of Paul. We all read that as if it is Paul describing what we go through, but it isn’t. Most scholars agree this is not autobiographical and is more a speech in character. If we go this route in fact, we could be putting us in that position and making us opposed to the good news in Romans 8 unintentionally. I find it odd then to think about defining faith apart from the Gospel itself. Perhaps we should hear what the Gospel is. Romans 1 for instance begins this way. Some commentators will think that the Gospel doesn’t really start until later around verse 16 or 17. This is false. It begins right here. What do we have? We have a descendant of David which points back to the covenant made with David. We then have the resurrection of Jesus by which Jesus was declared to the world to be the Son of God. Because of this, we have received grace. If we make something like justification the Gospel, then really we have to ask “What is the point of Israel?” Does the Bible just have a lot of filler stuff in it? What is the point of Jesus teaching the Kingdom of God? Could it be that maybe He actually meant there was a Kingdom and He was the king? So what is the purpose of justification then in all of this? It’s realizing that there is indeed a new king in town and He calls for your allegiance. Justification is admitting that God is in the right and you are in the wrong and submitting to the Lordship of Christ. In doing so, God welcomes you to His family. God then looks at you and pronounces you to be in the right. With that, I have no problem calling any of them my brothers and sisters in Christ. I would have no problem working alongside them in ministry. If I minister to someone and he comes to Jesus and wants to be Orthodox or Roman Catholic, okay. I don’t have a problem with that. I would hope my Orthodox and Roman Catholic brothers would think likewise if he wanted to join the other community or be a Protestant after they evangelized him. So if Mike Licona is in the wrong for being willing to see Christians outside of evangelicalism and to fellowship with Roman Catholics and Orthodox brothers and sisters, well I guess I’ll be in the wrong too. I just see us all as learning to submit to Jesus as Lord. Do we have some differences and can we discuss them? Yeah. We do and we can, but that should not stop us from doing the real Kingdom work together. Posted on 3rd March 2016 Author Nick PetersCategories Apologetics, Christian Doctrine, ResurrectionTags Catholicism, Catholics, covenant, creation, Eastern Orthodox, gospel, James White, Kingdom, Mike Licona, Roman Catholicism2 Comments on What Is The Gospel? What do I think of Jackson Wu’s book published by the William Carey Library? Let’s plunge into the Deeper Waters and find out. Would you like to hear the good news of the Gospel? You would? Okay. Long ago our ancestors Adam and Eve disobeyed God and were banished from His presence. In order to bring us back, God sent His Son to us. He lived among us and died on a cross, but God raised Him from the dead and all who believe on Him can find forgiveness in His name. Such is the way that a Gospel presentation can usually go. Now of course, when presenting the story of the Bible, one cannot give a full presentation of everything in the Bible, but isn’t it amazing how much is left out of this? Where is the history of Israel in this presentation? Does Israel have no purpose in God’s story? Where is the mention of Jesus being a king? You can see Him as savior, but will you see Him as King? Jackson Wu is a Chinese scholar who writes about how to interact with Scripture in a more practical way to present the Gospel to all nations. After all, such an approach might work fine here in America to an extent (And that extent is lessening), but go to a more Eastern mindset and you could find it less effective. Wu primarily shows his own people of China as a different culture that contrasts heavily with our modern Western culture. In doing so, Wu takes us back to Scripture and says we must look for the themes of covenant, creation, and kingdom. Whenever the Gospel is presented, we will find something of this there. You might not find all the themes, but you will find at least one of the themes. This means also that when we go to another culture, that we can see how they interact with Scripture and find grounds of agreement first. We can disagree with the Marxist ideologically for instance, but could we find something we can agree on? We can agree with the desire to find a perfect society together. We can agree with the idea of removing distinctions that separate people. We can then show that these are also part of the new covenant in Christ. The book also contains some interesting insight into Chinese culture where the goal is often to save face. How you look to the people around you means everything and if you don’t have a good reputation, it is as if you were already dead. There is also emphasis on how one treats their family, especially their parents. Picture going to this culture with the Gospel of the man who talks about how He must be more important to you than your own family and suddenly those ideas take on a whole new meaning. Wu’s approach is contextualization. It means that we don’t just read the Scripture at face value alone, but try to interact and see the culture behind the Scripture as well. An honor-shame context is a better approach to understanding the Bible and as Wu shows by an example of Chinese culture, is still very much active in the world today. Wu’s book is an excellent resource for missionaries or for anyone serious about evangelism. After all, to do missionary work today, you don’t have to go to another country. You can find people of another culture in our own neighborhood and you can turn on your computer and find people of a different culture. Wu’s book is one to read to better understand how Scripture and culture should interact together. What do I think of Bryant Cornett’s book? Let’s talk about it on Deeper Waters. I wish to think Bryant for sending me a copy of this book and wanting my opinion on it. While I was sent it some time ago, I don’t often sit down with my Kindle as much as I should as I have several other books on the list at times, so in reality, this book could be read a lot faster than I had done it. In this book, Bryant wants to go through the Gospels and introduce you to the person of Jesus. Bryant is more of a layman, but he does take a serious approach, one that seeks to grapple with a number of big ideas and is what I would call mildly apologetic. There were some areas that I did disagree with. I disagree with his view on prophecy and I thought there were some problems with the section on the works of the Law seeing as I lean more towards the New Perspective on Paul. I also found some apologetic claims to be dubious. One that comes to mind is the idea that Matthew might have been written in 37 A.D. I have never read that in any work of NT scholarship. Yet there is one excellent feature about this book. This is the one that gives it the edge that makes me think it could be motivational to a number of people. Bryant has a lot of passion. Seriously, the passion that he has comes through on a consistent basis and even when I disagreed with some points, the writing has a way of drawing you into the situation that he is describing. An excellent example I think of this immediately is his telling of the story of Cain and Abel. I think when I went to bed at night I was thinking about what that story meant for about a week. I also think with that passion that Bryant rightly points us in the direction of Heaven. Now with my different take on prophecy, I disagree with much of his description of Heaven, but he is certainly right that Christians need to be thinking about Heaven and with that, they need to be thinking about the final judgment and what they will do with the time that they have left. Which gets us to the title. 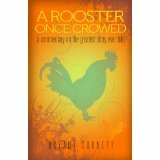 As Bryant says, a rooster crowed one time. There could have been hope for repentance at the first crow of the rooster. Once the rooster crows a second time, then it is done. Right now, we have heard the crow once. Will we be ready if it comes again? Do Crossan and Reed find him? Let’s talk about it on Deeper Waters. One of the most important lessons you can learn in studying is to read those who disagree with you. Too often, we have the idea that all of them can be liberals who dream night and day about how they can undermine the Bible and destroy the faith of some at every chance. In reality, when you read them, one can often find a seriousness to the Biblical text and get valuable insights in interpretation and in fact make special note of where they agree with you. Of course, I still think they are wrong in much in the long way, but we should listen to their voices as they can most easily question our own presuppositions. In Search of Paul by Crossan and Reed is a book looking at the Roman Empire’s “gospel” in contradiction to the “gospel” that Paul taught. Both sources were claiming that there was a man who was deity and who was going to be the ruler of the world and usher in a new age. This is something I’ve used in my own apologetic. In the clash of these two forces together, neither one of them wanting to compromise an inch, it is a wonder that it was in fact Christianity that won out. How did a shameful traitor and blasphemer to YHWH (by the standards of the world) come to be the one that eventually even the Roman Emperor bowed a knee to, and this without the Christians raising a sword? But that is another question for another time and those interested can pursue my writings elsewhere and find my answer. To return to the review, Crossan and Reed also bank on a hypothesis that Paul in his journeys went most to the God-fearers. These were people who admired the Jewish worldview and believed in the Jewish God, but they didn’t follow through entirely. For some bizarre reason for instance, the men were hesitant to get circumcised. I can’t imagine why…. Unfortunately, this is what I consider the weakest part. It’s not really explained well and when it comes to Acts, the parts that go against the theory are deemed to be non-historical without any real argument. If they give one elsewhere, it would have been good to have seen a reference. The authors ask why would Jews care about these God-fearers coming to believe in Jesus? They also ask why would the pagans have cared about some pagans becoming Christians. Actually, both of these questions are quite simple to answer. Jews would care because this would go against the honor of God. They didn’t want people going around saying that the Messiah had come and that Messiah was a crucified criminal. It also didn’t help that the leaders of Israel were being blamed for this. If this went unchecked, then that would mean that God would surely come and judge the nation. They were in violation of the covenant and the new movement had to be stomped out. Why would pagans care? Simple. These people would be deviants in society. “You’re not worshiping the gods or the emperor? You’re in fact proclaiming our gods are not real and that the emperor is not deity? If you keep this up, the gods and/or Rome will judge us!” Both groups had something to gain by going after the Christians. Despite this disagreement, a good reader will learn much from this book. The story is also told with powerful descriptions of visiting the areas where the events took place in modern times. One gets to see how the Empire was growing alongside of Christianity and go through the letters of Paul deemed to be authentic and see how they could be translated in light of this information. Another point of interest is that Crossan and Reed want to tie this in to modern America today. How are we like the Roman Empire and differnt from them? I found myself puzzled though in wondering what great message Jesus taught that was so unique that it is still here today from a non-Christian viewpoint. For Crossan and Reed, the impression is that it is about the end of violence, but this does not seem to be the main message of Jesus. As NT scholars agree, Jesus’s message is the Kingdom of God and the message would then be that God has begun His rule and He has begun it in the person of Christ. The resurrection would be the vindication of that claim. (As well as providing forgiveness of sins.) This is the solution to the problem of evil. God is reworking this world and reshaping it by the spread of the Gospel. Non-violence would be good, but to what end? Just so we can all get along? If Jesus’s message had simply been that we should love one another and avoid violence and live in unity, it is hard to imagine how it is that He would have been crucified. It must be something much more radical. This is the problem I have with Crossan’s Jesus every time I read about Him. He’s a nice guy. There’s nothing wrong with being a nice guy, but nice guys while they finish last, do not get crucified. Despite these differences, I do encourage Christians interested in the historical Jesus and studying Paul to read Crossan and Reed’s work. It will be very eye-opening and reading a stance different from your own will help you inform yours.